We are working hard to build our provider and partner network so that we can make this innovative concept faster, better, simpler and available to more homeowners. Please send us an email at: info@reachoption. Mortgage Bankers, Brokers & Real Estate Agents You can close more deals by providing your clients with an innovative way to fund their purchase. Help us expand our distribution network so that we can make this new funding method available to more people. You can help your clients reach or maintain their dreams. We will pay referral fees to introducing parties. 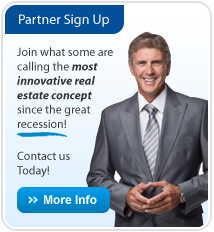 Condo Developers and Sponsors You can qualify more buyers by providing them with a new, innovative funding method. and increase the speed of your sales. We can pre-qualify specific units in your building to speed up the closing process.